A legit fashion statement, Kolhapuris are available in dynamic prints and colours, perfect for every mood. Keeping that in mind, we found this tiny shop in Colaba (in the same building as Mc. Donalds) that will customise your Kolhapuris, just the way you like. 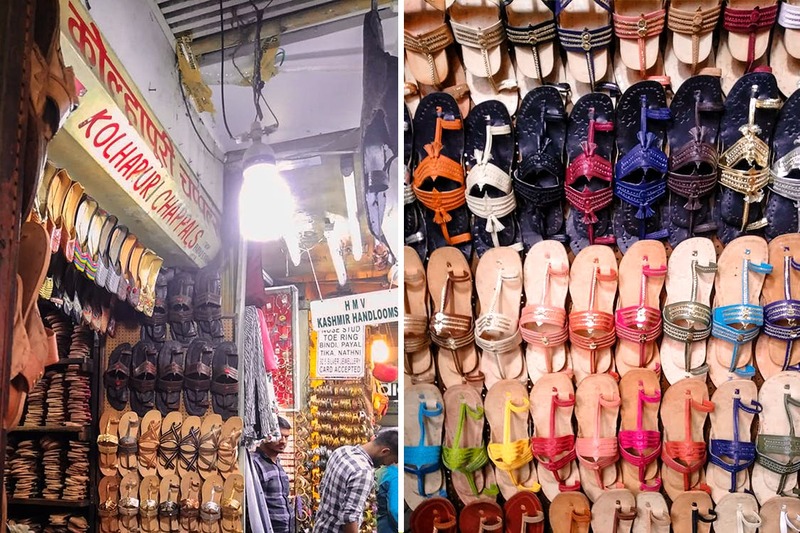 Named Topaz Kolhapuri Chappals, it’s a tiny store in Metro House on the Colaba Causeway. If you’re finding it difficult to spot, McDonald's is your reference point. You’ll see a range of juttis, mojdis and fancy Kolhapuris handing back to back. Here’s where you should enquire and the keepers will tell you their secret – they’ll customise your Kolhapuris for you and make them in the colour you want, and also add a block heel to it if you’d like. Once you’ve placed an order, they will take 10 days to make it. Handcrafted from pure leather, the chappals from here might hurt your foot in the beginning (we are beginning to believe that’s the sign of genuine leather) but will soon become your go-to chappals after it gets smooth with every subsequent wear. The price starts at INR 450. If you’re tired of wearing the same old single coloured Kolhapuris, change it now and get the colour of your choice from Topaz in Colaba. If you want, get one with block heels and one without, to mix and match with your outfits.